Prescopodene is a diet pill produced by JC Arnica Nutraceauticals. The company is based in Panama, but the pills are marketed worldwide via a number of regional-specific websites. However great care is to be advised before ordering any of the company’s products because the ScamBook website contains a growing number of complaints about the company, including one from an Australian customer who spent AUD$ 299.60 on some of the company’s products, was unhappy with the results, and has been unable to secure a refund via the promised guarantee. 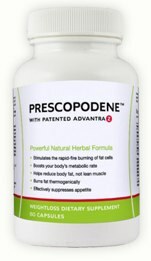 Prescopodene has been designed to trigger thermogenic fat burning. This is process that causes a slight rise in body temperature and encourages the body to begin burning stored body fat. If the capsules can successfully achieve this the calories released during the fat burning process will become available for the body to use for extra energy. Some of the ingredients used are very good, but others, such as ascorbic acid and magnesium, are unlikely to offer much benefit at all. Green tea stands out as being a worthwhile inclusion. Its fat burning prowess has resulted in it becoming one of the most popular diet pill ingredients in the world. Cocoa extract provides theobromine and epicathicin (natural metabolism boosters), and yerba mate is often believed to be a fat burner, but if these ingredients are in the minority their powers could be dwarfed by less worthy inclusions (magnesium, ascorbic acid) and results will not be forthcoming. The pills may work. They may not. Without any inclusion rates to go by further speculation is pointless. Two capsules are required each day and should be taken with 250ml of water. The first capsule of the day should be taken before breakfast or morning exercise. The second capsule should be taken during the afternoon. However, in order to assess for tolerance issues, new users are advised to take just one capsule per day for the first week. 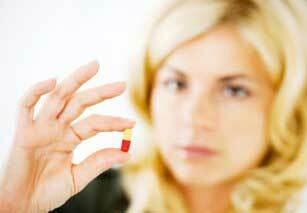 Capsules should never be taken in the evening and four capsules should never be exceeded in any 24 hour period. The official website dedicates a full page to customer testimonials, many of which are quite in-depth. One man claims to have lost 36kg in a month, and another states he lost 15kg in 13 weeks. There is even a testimonial attributed to a middle-aged diabetic lady who lost 19kg in 6 months. Most of the stories are quite convincing, as are the accompanying photographs, but testimonials from a less biased source would provide a more reliable insight into how the pills are likely to perform. The manufacturers state no side effects have been reported, but warn the formulation is not suitable for pregnant or nursing mothers. People who are taking medications should seek a doctor’s advice before commencing supplementation. The same advice is offered to anyone who has existing health issues or concerns. Capsules can only be purchased via the Prescopodene website. A single bottle of pills contains a month’s supply and costs AUD$ 59.95. Shipping costs add another AUD$ 8.97 to the bill. Shipping insurance is optional and adds a further AUD$ 2.95. That’s a grand total of AUD$ 71.95, so attempting to lose weight the Prescopodene way is far from being a cheap option. 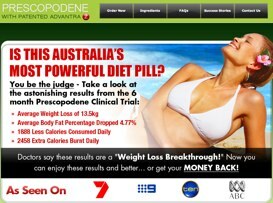 Buying two bottles together does not secure any discounts at all, but customers who purchase three bottles of Prescopodene on a single order (costs AUD$ 179.95) will get a free bottle of pills and a copy of the “Secrets to Successful Weight Loss” ebook. A 90-day money back guarantee is offered, but the ScamBook website contains numerous complaints from JC Arnica Nutraceauticals customers who have been unable to get their money back. In all fairness there is nothing to say Prescopodene will not assist weight loss, but there are certainly better options available. Some of the ingredients have potential, but results are dependent on a sufficient inclusion rate and the inclusion rates here are unknown, so it’s all a bit of a gamble. The presence of a money back guarantee should make such a gamble less of an issue by ensuring the customer has nothing to lose, but numerous complains suggest the guarantee may not be honoured, so caution is to be advised. There are many consumer diet products to choose over this one – we have compiled our list of preferred products.